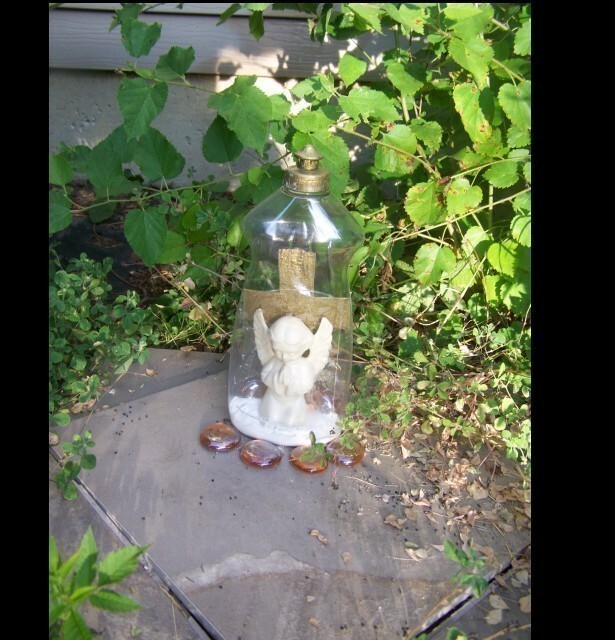 Make a garden angel ornament using a clear plastic bottle and an angel ornament. 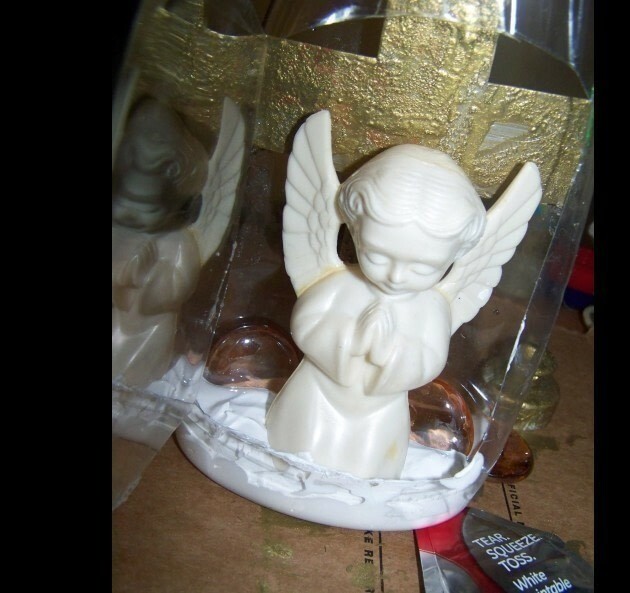 The inspiration for this project was the little plastic angel that did not make it back in the box when the Christmas items were put up and has been sitting on my desk for 6 months, but I have also seen ones at the dollar store that would work as well. 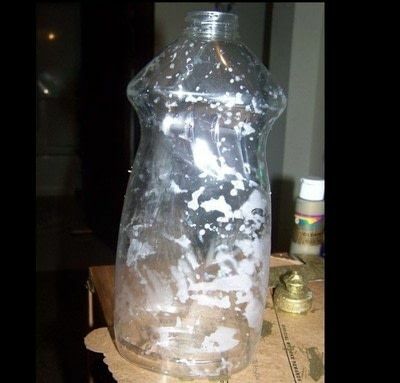 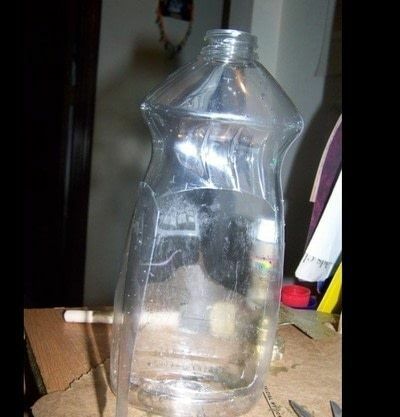 The bottle you use depends on the size of angel that you have as it needs to be able to fit in the bottom. 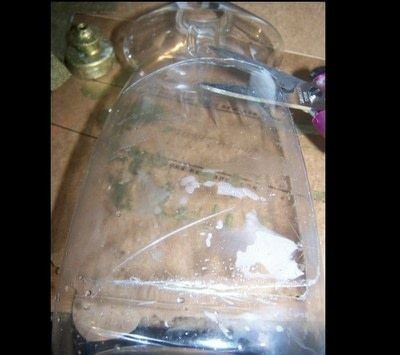 Remove the labels from the clear plastic bottle. 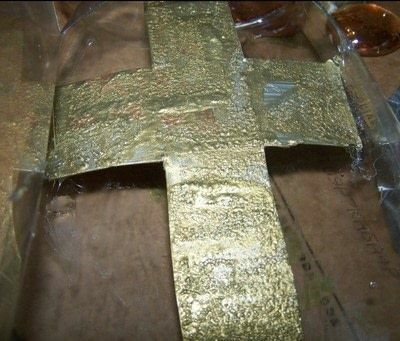 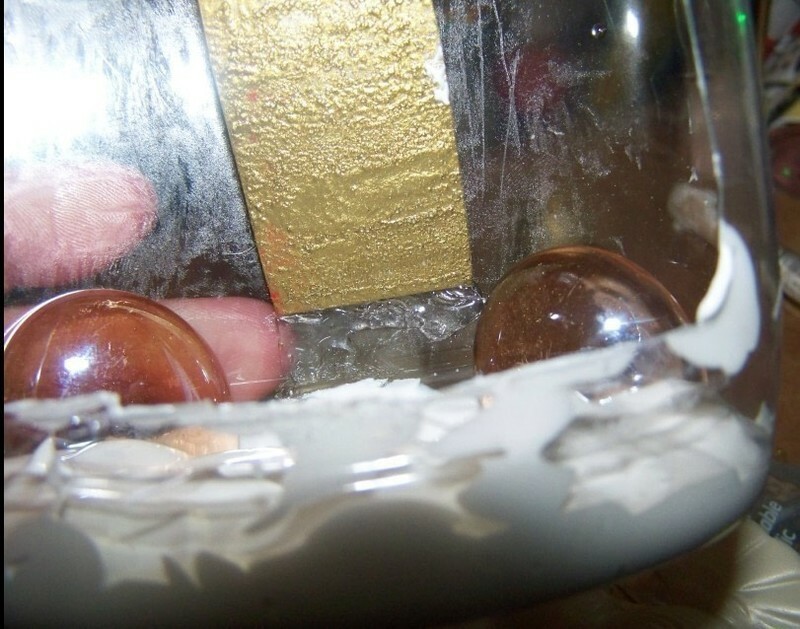 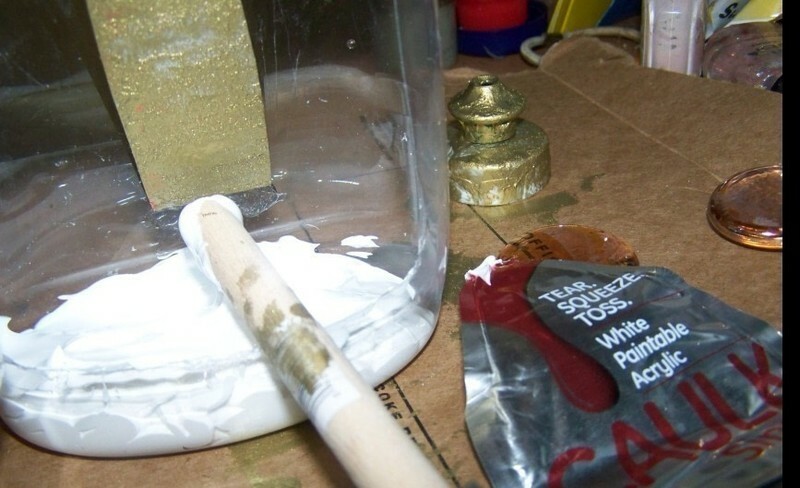 Paint top of the lid of the bottle with the gold paint. When dry spray with the clear acrylic sealant. 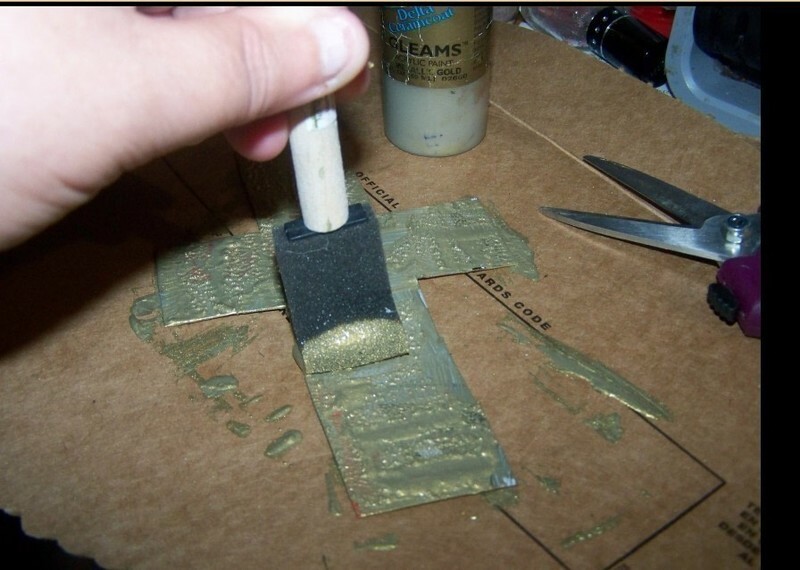 Paint a cross on the cardboard using a brush, allow it to dry then cut it out. 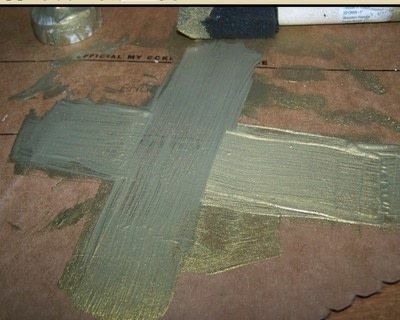 Flip it over and paint the other side. 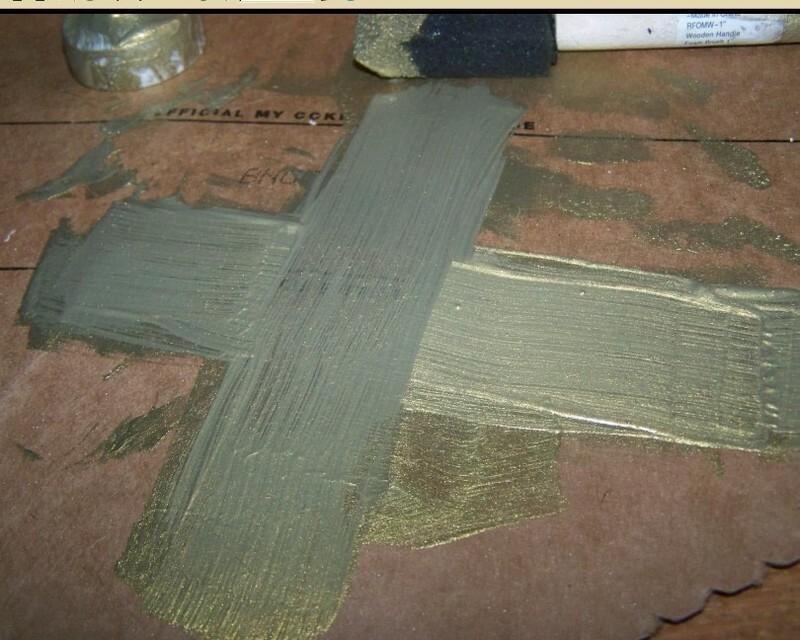 For this side, which is the side I used facing out, I textured the paint by dabbing it with the sponge brush and squishing it down. 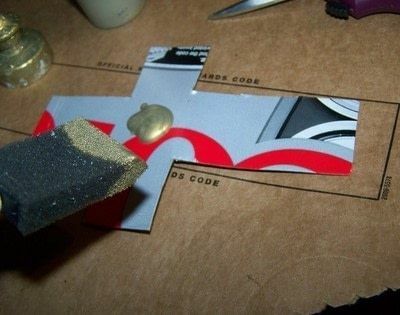 Use a box cutter (I tried using a regular knife and it was not sturdy enough and scratch the front) to start a cut along about an inch from the bottom, then use the craft scissors to cut the shape of a door. Put the cross in the bottle (you may have to trim it to fit). 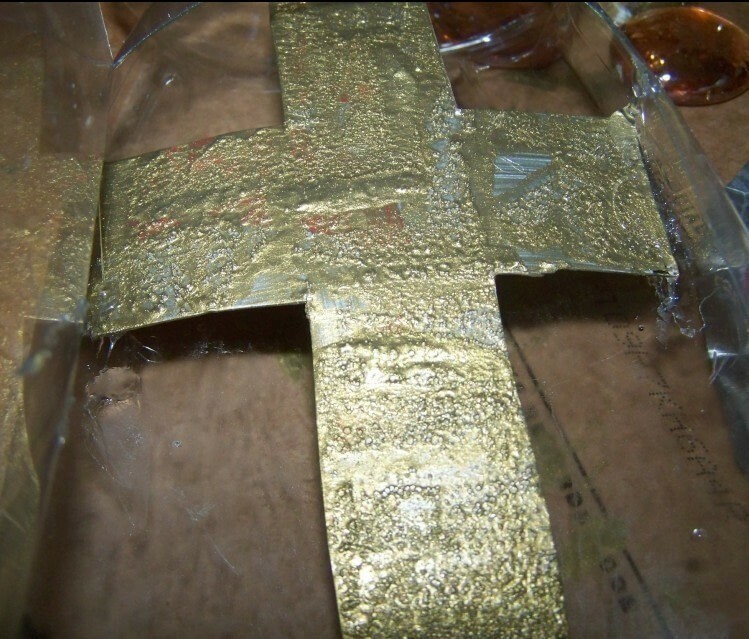 Apply the clear glue to the edges to hold the cross in place. Squeeze the caulk into the bottom of the bottle and distribute it evenly using the end of the sponge brush. 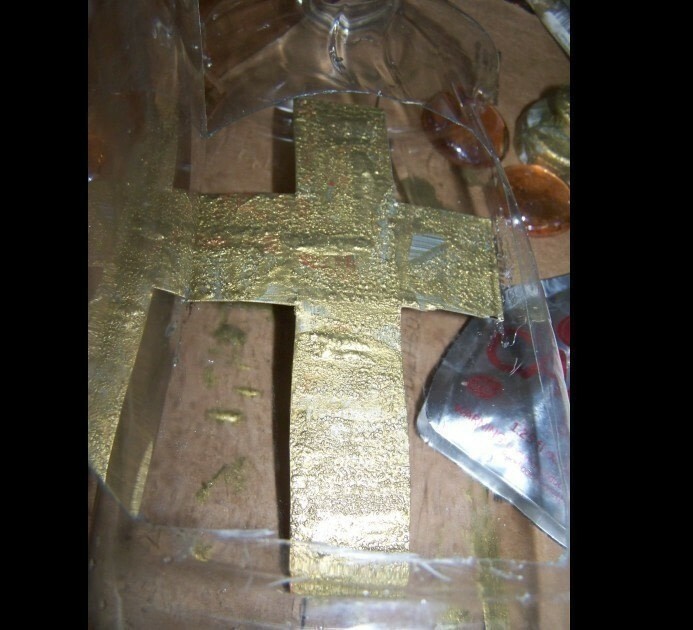 I put a decorative stone on the back of each edge of the bottle. Put the angel in the bottle and press it down slightly into the caulk. 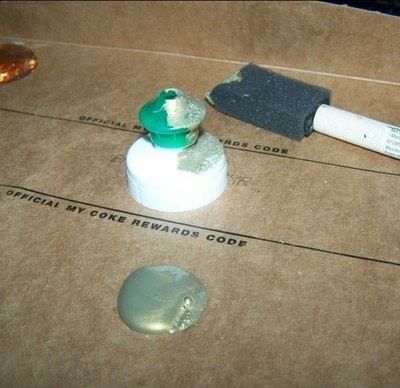 Use a push pin to make a hole in the door and a hole just to the right of the door. Put the large jump ring through the hole and bend to close and you are done. 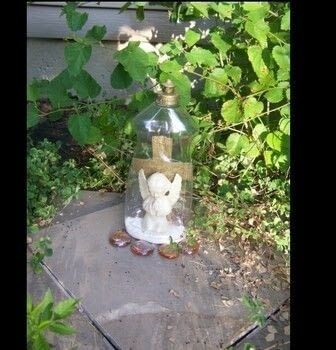 I put mine out on a piece of marble and put 4 decorative stones in the front, but you could put it wherever you like.